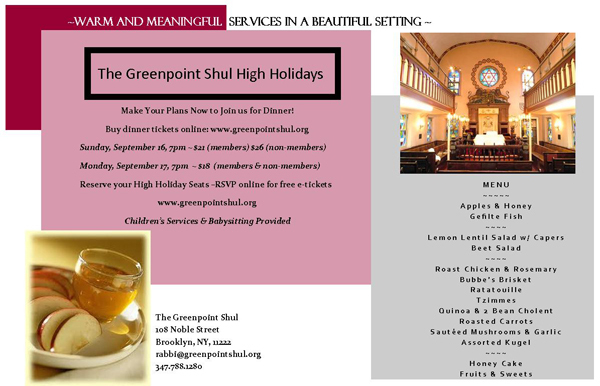 Hi Miss Heather, It’s the Jewish New Year Again and we have Rosh Hashanah dinners and High Holiday Services at the Greenpoint Shul. Could put post the dinner announcement for us? September 16 & 17, 2012 at 7:00 p.m.